Going by the current trends, it may be arguably noted that traditional and mainstream micro-business financing such as credit and business loans are inadequate or not within reach for small business owners. Nevertheless, small business owners still realize the need to acquire financing to grow their businesses and curb cash flow shortages. It is at such hard times that many business owners turn to accounts receivable financing as a way of acquiring the cash they need. The benefits of accounts receivable financing for businesses can be too hard to resist. Its lure of getting immediate financing to enhance business growth is a powerful solution. This article takes a clear look at all the imperative issues that every business owner must look out for before signing the dotted lines of any accounts receivable financing agreement, as well as all its good and bad aspects. What exactly is accounts receivable financing? Commonly known as Factoring, accounts receivable financing is definitely one of the oldest types of commercial financing. In simple terms, it is a process that entails the selling of receivables or outstanding invoices at a markdown to a specialized factoring or finance company (normally called "the Factor"). The factoring company assumes the risks on the receivable and in return issue your business with a swift influx of cash. The amount value issued on the receivable largely depends on the "age" and quality of the receivable. Beware to ensure that it is a factoring agreement and not a loan. Ensure that the deal has a prime rate, which in essence is the varied interest amount. Find out how the prime rate is calculated and whether it is tied on the factoring. Keep in mind that a prime rate is an essential part of accounts receivable financing, whether in minimum or maximum. This is another crucial part of the agreement that you must put into perspective. In normal cases, purchases are payable within more than 180 days. The factoring company is usually in charge of collecting and invoice payment on your accounts receivable. It is critical to know the reserve amount and how it is charged. A reserve amount is the cash held and it normally ranges from 2% to 20%. Agreement length is one important factor that you must consider. 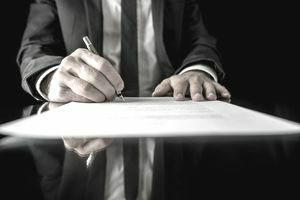 Whether the contract goes for months, a year or several years, be sure that you are well-aware of the length of the agreement, and whether a short-term or long-term agreement will be vital for your business. No Need for Collateral - It is a type of unsecured business financing option that does not require any collateral in form of assets and guarantors. Retain Ownership of Your Business - This type of financing does not require you to give out part of your business ownership so as to acquire finances. Higher Costs - While it is a quick way of accessing cash for your business, it may come at higher costs than the rates charged on other types of business loans. Remember that failure to pay back the amount within the predetermined period will only increase the total amount that you will be required to pay. Lengthy Contracts - Some agreements can be short and viable, but others can be long and winding than you would like. It is crucial, however, to negotiate the length of the contract that perfectly works for you and your business. Any form of business, whether small or big, will at one point require business credit to support various day to day operations of the business. At one point, the business may require quick money to fix its operations. Sadly, credit access has become so tight, especially to small businesses with many traditional lenders unwilling to offer viable help. Accounts receivable financing can help businesses overcome those financial challenges.